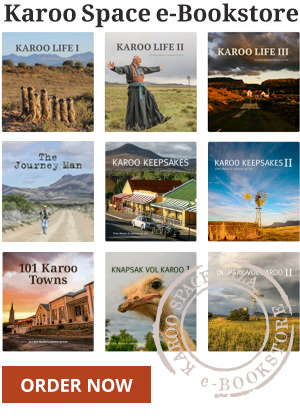 A fully-equipped and furnished guesthouse with a great reputation for Karoo hospitality is now for sale in Fraserburg. Comfort and elegance at Springfontein, halfway along the N1 between Johannesburg and Cape Town. Stylish simplicity, comfort, generosity and great food at Richmond, off the N1 between Cape Town and Johannesburg. Historic buildings with modern conveniences and great food in the heart of Graaff-Reinet. Charm and quiet in the heart of Graaff-Reinet. Ideally situated for stopovers when travelling from Gauteng to George, The Willow offers excellent comfortable accommodation and fine dining. One of the most unusual shopping and party venues and guest houses in the Karoo. Wild fly-fishing in the Karoo? Indeed. Alan and Annabelle Hobson, of the Angler & Antelope Guesthouse are hosts with a sense of outdoor adventure. Lynette Dugmore has restored a grand old house in Aberdeen with a fascinating past involving circuses and lions. Stay over and hear the story. Deutsch Gesprochen. @Nieu-Bethesda matches you up with suitable accommodations, from garden cottages to luxury double rooms , backpackers’ quarters to large houses with wide stoeps.